Unique Ace custom designed stingray bangle with white gold and black onyx caps. 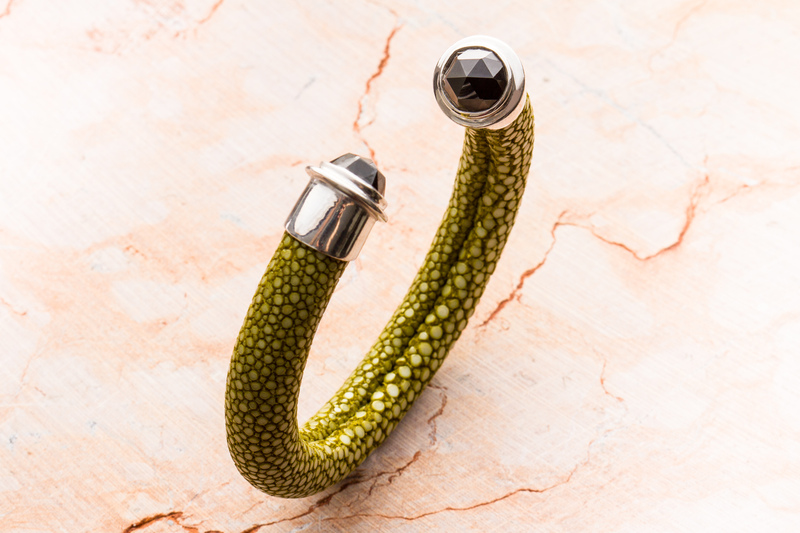 This unique Olive green/Black Onyx Stingray Bangle from Ace Collections is a true masterpiece on the wrist. 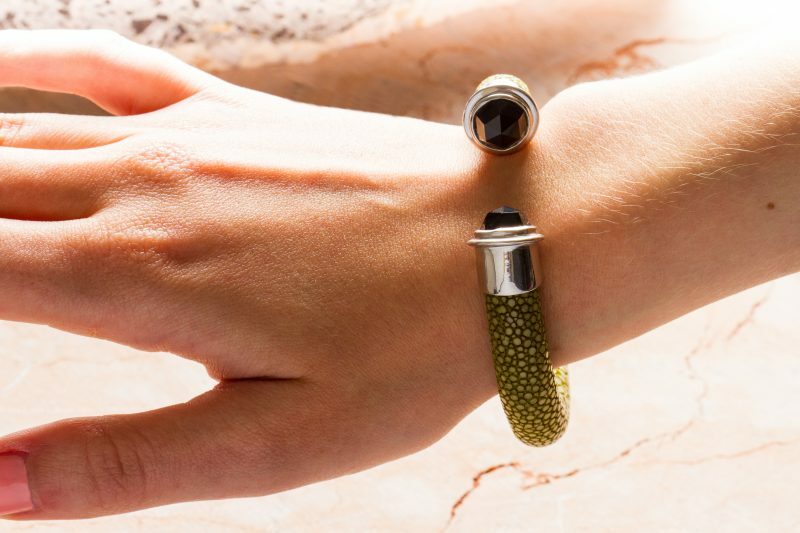 The white gold and black onyx caps associated with the green olive stingray leather creates a perfect mix of textures and colors. 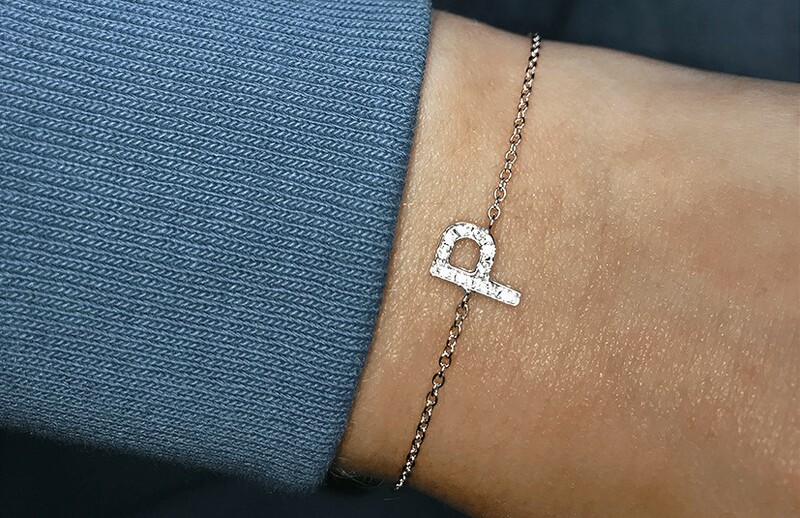 Regarding the size, this bangle can fit any wrist. It is very flexible and adaptable. 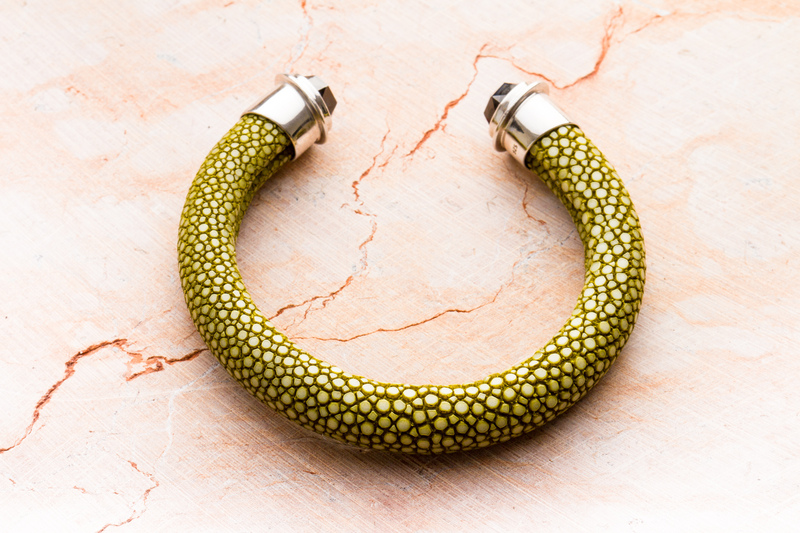 Ethnic with a luxury twist, this bangle will be the statement piece of any outfit. Don’t forget to check our smaller and colorful Stingray bangles!